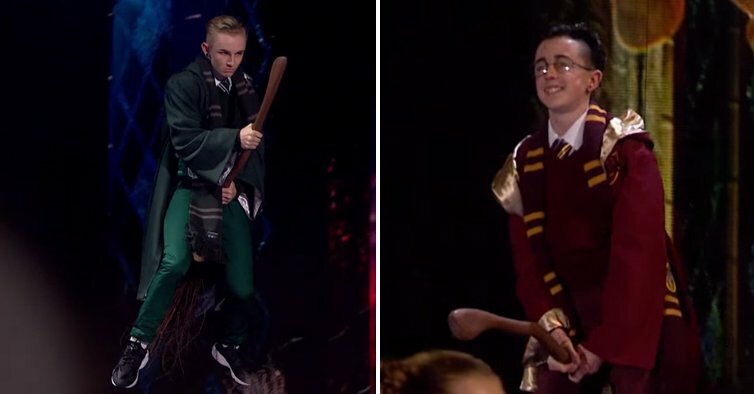 We all love Harry Potter just about as much as we love a good dance troupe. So what could be better than an awesome Dance troupe performing a Harry Potter themed dance. The performance was on tonights Britain’s Got Talent and it rightly brought the house down. The show starts with the two lead dancers coming down to the stage on their broom sticks before being joined by the rest of the troupe. This is some real talent.